When we look at our agreements through the social lens of how we Homo lumens interact, we find three very different, often-confused Co-s: coordination; cooperation; and collaboration. Coordination comes from the Latin coordinare “to set in order, arrange,” from co– “with, together” + ordinatio “arrangement,” from ordo “row, rank, series, arrangement.” Cooperation comes from the Latin cooperationem (nominative cooperatio) “a working together,” from assimilated form of com “with, together” (see com-) + operari “to work”. Collaboration comes from the Latin collaborare “work with,” from assimilated form of com “with” (see com-) + laborare “to work”. Coordination is about segregating, arranging separate pieces–it is only just about the parts. Cooperation is about flocking, working on one’s own together towards a similar goal. It is about the parts and their relatedness. Collaboration is about uniting, bringing together unique contributions towards a deeper shared purpose. It is about the parts and their relatedness and the whole. Parts coordination, parts-related cooperation, parts-related-in-whole collaboration–the 3 Co-s of parts-related-in-whole, the definition of a system. What does it mean to act on one’s own, making one’s own decisions? It turns out that we do not have a single answer for that; rather a few, depending on who you ask. A word we use to describe acting on one’s own, making one’s own decisions, is “agency.” There are at least four major definitions of what agency is, each suggesting that their definition is the only and right one. There are distinct definitions from economics, political science, cultural anthropology, and sociology: what I call the four lenses on one experience. The problem is that they each have evolved to point at different aspects of the experience of agency, based on what they primarily focus on in the human experience. I suggest that we can learn something by taking the dimensions of your experience that they each point at and putting them together into a greater whole. Economic agency. In economics an agent acts on behalf of a principal to influence the use of the principal’s resources, in ways that benefit the principal’s interests. Agency theory in economics is seen as part of the field of contract theory, where the challenge is seen as designing a contract whereby the self-interested agent will act in the principal’s interests. Political agency. From a political science perspective, one has different degrees of freedom to decide for oneself and to enforce one’s own decisions, based on access to power. Agency is, “the degree to which individual actors have the capacity to act independently and to make their own decisions…[with] access to political power, financial resources, and information” (2016, Matson, Clark, Andersson, Pursuing Sustainability, p 89). Cultural anthropologic agency. In cultural anthropology, one acts from a set of values, determined by one’s culture, and one’s actions influence how those values manifest. From a cultural perspective, agency is “the temporarily constructed engagement by actors of different structural environments which, through the interplay of habit, imagination, and judgment, both reproduces and transforms those structures in interactive response to the problems posed by changing historical situations” (2000, Ratner, Journal for The Theory of Social Behavior, p 413). Sociological agency. In sociology, the ability to act on one’s own interweaves with the social structures in which one exists. “Agency is the capacity of individuals to act independently and to make their own free choices. By contrast, structure is those factors of influence (such as social class, religion, gender, ethnicity, ability, customs, etc.) that determine or limit an agent and his or her decisions. The relative difference in influences from structure and agency is debated – it is unclear to what extent a person’s actions are constrained by social systems” (Wikipedia). What determines what you do? You, your social context, or a structure that interweaves the two? So, agency is influencing the use of resources, yours or someone else’s, based on your access to power and resources, towards specific values, yours or someone else’s, within the context of your social structure. While theories like Gidden’s structuration attempt to blend all of these, each discipline (the four lenses) continues to promote its primary focus (whether resources, decision and enforcement power, values, or contexts of interactions) as the only significant determinant of agency. These are four areas of choices you can make. That is agency, ecosynomically. You can download a PDF of this blogpost here. The problem with most agreements is that we don’t see them. They just are. Most often we are not aware that what is happening around us is based on an agreement that one could potentially change. It seems that life is “just that way.” In our day-to-day interactions, either at work or at home, we are engaging in a set of agreements and relationships, whether we realize it or not. Sometimes the agreements work, resulting in vibrant experiences and great outcomes, and sometimes they do not, leaving us feeling depleted, fatigued and disappointed about the lousy outcomes. In addition to shifting agreements in everyday experiences, many of us work to shift agreements in large-scale social change issues, such as renewable energy, food systems, poverty, climate change, and social justice. Decades of attempts to address these big and small challenges with approaches rooted in scarcity have proven insufficient to the task. 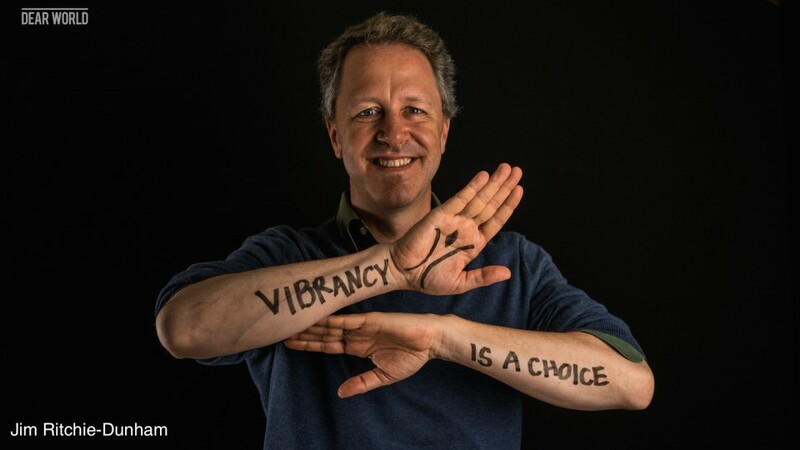 Research at the Institute for Strategic Clarity (ISC) has identified many groups that are finding success in addressing these issues, starting from a very different perspective, one of abundance in human potential. Ecosynomics, the social science of abundance, offers robust frameworks that take what we have learned in scarcity-based agreements framed by economics and puts it within the much broader, much healthier context of abundance-based agreements. But how can agreements be made consciously so that people can choose self-determined higher vibrancy in their agreements? We present a case study from Europe where we are in the process of guiding a group to abundance-based agreements. In doing so, we follow the Vibrancy Living Lab approach, which combines a guiding process with scientific research and social-impact creation to enable a positive contribution to the group and the community where it is embedded. The example concerns a Community Supported Business (CSB) in a village in Germany; nine people comprising two families and many associates. While the main focus of their work resides on their CSB, they are also engaged in local education and regional politics. Despite a great vision, the group found itself over the last years in a critical state: the financial situation was getting precarious, the group underwent some hard and energy-depleting times and some were on the edge of burning out. Furthermore, they had already started to lose belief in the meaning behind their venture and to unconsciously accept their scarce reality as given and unchangeable. With those agreements, practices and mindsets they were not able to ensure their private and professional successes. Based on initial conversations about ecosynomic research, in early 2014, the founders of the community invited us to support them in overcoming their scarcity-driven practices by working out their own abundance-based agreements. Our first step was to empower them and bring back the feeling of self-determination. We chose two different approaches for this. The first was to stop “just doing” and to start observing. The second was the kind of relationship we entered. In this we decided to step into an unusual role. In addition to being external coaches and consultants, we also agreed to become full members of the group. This gave us more possibility to deeply resonate with them by still being able to mirror them in their dynamics. Mapping out the quality of their agreement structure allowed them to create a first understanding of how their embedded and interwoven assumptions shaped their interactions and how those interactions created the basis for the quality of their experiences and results. Understanding that, they started to see that their unpleasant experiences and poor results were a direct effect of the agreements they made on a daily basis in the four fields by (unconsciously) answering the related questions in completely opposite directions. They also started to see that by changing their embedded and interwoven assumptions and agreements they would directly change the experiences they have and the results they produce. Measuring the benefits of and capacity for abundance gets its inspiration from the quality movement. Initially nobody knew how to assess the benefits of quality programs; this made investment decisions difficult. The innovation was to assess the cost of “no quality.” The insight was that the benefit of quality had to be at least as big as the cost of no quality. Likewise, the benefits of abundance are at least as big as the costs of scarcity, which is straightforward to measure. After having this higher-level awareness of themselves and their context, we employed embodiment and systemic practices to open up concrete pathways for change. Let’s have a closer look at the groups’ interrelated agreements and practices, as we saw them the day we started to be engaged with them. After raising awareness of the current situation, the group collectively agreed to allocate resources into the development of abundance-based agreements and to explore practices that would allow them to intentionally start from abundance and collaboration rather than being unintentionally stuck in scarcity and antagonism. They entered a mindset of “we do have more than enough of anything, we just have to find ways of how to manifest the potential we see into results benefiting our business and community.” They are now successfully innovating on their business model by exploring new markets, management, and leadership behaviors. They have a high-level AND in-depth understanding of their structures and how each individual drives them. Building on that, they realized the interdependencies between the different parts of their “system” and the importance of alignment within it. Both aspects are essential preconditions to relate in an effective, efficient, and abundant way. They have the awareness that with their scarcity-driven agreements they would by definition neither be able to have the kind of “healthy experiences” nor produce the kind of outcomes they envision. Engaging with them, you can now a) see and feel the higher-level awareness of “why do I experience what I experience and how I can change it” and b) see and feel the positive energy and motivation to grow into the possibilities they see, which is completely different than the original drive to simply escape scarcity. They are able to do so since they experienced what it is like to work with abundance-driven agreements. Yes, they are now able to work out of this understanding and feeling, rather than just pushing away from something they do not like. Furthermore, they not only regained trust in their own abilities and goals, but also started to reframe their shared purpose, as well as each individual’s unique contribution to the group. We think the key learning of this case study is to take time to understand the agreements that (un)consciously drive the behavior of your business. Understanding your agreements builds the basis for lasting success and vibrant interactions, thus, having great experiences and producing above-average outcomes. Awareness, collaboration, and alignment seem to take a lot of time and energy, but there is a massive return for every minute of this investment. During our process the Japanese proverb “If hurried, go around” evolved as our guiding principle, because the fastest way is often not the straightest. Seeing what is, what we actually have. Versus what we would like to have or what we would like to think we have. What there actually is. This is the invitation I am finding all over the place these days. People inviting us into a conversation about what actually it is we have, and whether that is what we want. I also find that what look like different conversations might actually be about different dimensions of the same conversation. I will use four examples to highlight what I am seeing, and I will use the 4-step Harmonic Vibrancy Move process to frame the conversation. The first step of the HVMove process is to see if we experience a gap, a gap between where we are or what we have and where we want to be or what we want to have. The chorus seems to be singing that there is something better available to us. Whether we talk about being disengaged, large systems change, income disparities, impact resilience, or efficiency gains, many people are clear that we are not experiencing the abundance that is available to us. The second step of the HVMove process is to see what agreements look like where people are having the experience we want to have. I have shared many examples of the kinds of positive deviance in agreements, experience, and impact resilience we are finding through our Global Initiative to Map Ecosynomic Deviance and Impact Resilience. Agreements that support the full, unique creative contribution of everyone involved. The third step of the HVMove process is to see what our current agreements look like, in comparison to the desired agreements seen in the second step. Here I have recently found a four-part harmony giving voice to different dimensions of our current reality, each highlighting both the economics of abundance and the dimensions of our current reality that bring out the scarcity. In the agreements evidence map, I refer to these four dimensions as the economic, political, cultural, and social lenses on the human experience. From the economic lens, with the question of “how much is there,” “we will be able to provide goods and services, once reserved for the wealthy few, to any and all who need them. Or desire them. Abundance for all is actually within our grasp” (Diamandis and Kotler, 2012, Abundance, 9). From the political lens, with the question of “who decides,” “we can scrap a failing system and go for plenitude, a new route to wealth based on respect for people and the planet” (Schor, 2010, Plenitude, 23). From the cultural lens, with the question of “what criteria,” we see “why communities fail to live up to their potential–why they suffer scarcity when they could enjoy abundance. Inequality prevents abundance. It does so by denying access to members of certain groups. Four major social inequalities are involved–classism, nationalism, sexism and racism” (Dugger and Peach, 2009, Economic Abundance, 79). From the social lens, with the question of “how we interact,” “human beings have limited wants and needs, but capitalist institutions seek to continuously generate new forms of scarcity by creating ever new needs…these scarcity-generating institutions…narrow our choices about how to fulfill our needs and wants” (Hoeschele, 2010, The Economics of Abundance, 1&12). The fourth step of the HVMove process is to see what to change in our fundamental assumptions and our agreements around the structures and processes that guide our interactions. Much of the conversation I find today tends to focus on how to deal with the existing scarcity-based systems or how to reject them. Through the Global Initiative, we have also found thousands of examples of positive ecosynomic deviants, people who are figuring out a different response. Starting from an assumption of abundance, not scarcity, they are designing whole systems based on creative human beings who interact with each other in very creative ways, achieving much greater engagement, efficiency, effectiveness, innovation, impact, and resilience. We are trying to figure out what they are figuring out and share that with everyone else who wants that–who wants to live from abundance, every day everywhere. Anderson, Charles W. Statecraft: An Introduction to Political Choice and Judgment. 1977, New York: John Wiley & Sons. Click here for snippets from the text. Anderson, Charles W. Pragmatic Liberalism. 1990, Chicago: The University of Chicago Press. Anderson, Charles W. A Deeper Freedom: Liberal Democracy as an Everyday Morality, 2002, Madison, WI: The University of Wisconsin Press. Click here for his free podcast-course on Political, Economic and Social Thought. Freedom is a concept that is easy to understand. Right? Since we throw this important word around a lot, we must all be clear that we mean the same thing when we say it, right? Not according to the late Professor Charles W. Anderson. Referencing the classical use of the word “liberalism,” which comes from the same word as liberty or freedom, Professor Anderson distinguishes four schools of liberalism, each based on very different foundational assumptions about what freedom is, how it shows practically in the world, and how to support it. The four schools he suggests are: classical, utilitarian, egalitarian, and pragmatic. According to Professor Anderson, classical liberalism focuses on individuals living their own life as they see fit, with minimal interference. In utilitarian liberalism, the individual maximizes freedom by maximizing the utility–the calculated net benefit of benefits minus costs–of the consequences of every decision. In egalitarian liberalism, the emphasis is on the equal opportunity to experience freedom, based on equalizing starting points, rights, and access to opportunities. In pragmatic liberalism, the individual engages in a world that is too complex to understand fully, so the task is to consider the practical impacts of an action, and to take that action to see what happens. In his podcast-course, which I highly recommend, Professor Anderson provides a very engaging, 54-lecture tour through the development and use of schools of political, economic, and social thought, highlighting the ebb and flow of definitions of what it means to be free, and how the different schools of liberalism have come and gone, multiple times. This series of books shows how the application of these different understandings of liberalism lead to different politics, different institutions and roles. “Political decision making takes place in a context of institutions, roles, and relationships” (Statecraft p25). “To act politically is to attempt to impose direction and form on the course of human affairs…Everyone makes political decisions. But often we do not recognize that this is what we are doing, even while we are doing it. Political activity is not confined to the affairs of government. It is present in every human association. In essence, we act politically whenever we make decisions on behalf of other people and not for ourselves alone. Politics means planning and organizing common projects, setting rules and standards that define the relationships of people to one another.” (Statecraft pvii). Here he references the ecosynomic question of “who decides and enforces?” and power over the five primary relationships. A further nuance in Professor Anderson’s book looks at the “tension between the values of liberty and equality. All liberals endorse both, but classical liberals tend to emphasize the former and [egalitarian] liberals the latter” (Statecraft p20). Within this framing of schools of liberalism, this book series lays out practical suggestions for statecraft: how to look at public policy, making choice on behalf of other people; political strategy, coping with power and influence; and political structure, the design of institutions. I highly recommend these books and Professor Anderson’s podcast-course.